"We are in the midst of an incredible digital revolution that is rapidly morphing the landscape of daily life with new time-saving tech tools for productivity, efficiency, and communication. These tools should be fueling our happiness levels, but that doesn’t always seem to be the case. In fact, the timing of the digital revolution coincides with record-setting levels of depression and overall life dissatisfaction." The digital age has had an enormous impact on us. Many of the changes brought about by technology have affected our society in negative ways. On the other hand, there are so many good things that technology provides for us to enhance our lives. The key then is to learn ways to minimize the negative impact on our lives and harness the incredible power of digital tools to become healthier, more productive and happier. And happier is definitely possible if we learn to manage the technology in our lives rather than let the technology “manage” us. 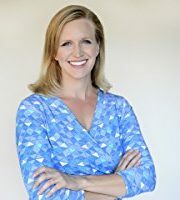 Author Amy Blankson, and her brother, Shawn Achor, co-founded the company GoodThink to use the principles of positive psychology to help people become happier. She has devoted years of research to find ways we can combine positive psychology and technology to live happier lives. "The most balanced, satisfied, and happy individuals use five key strategies, not just to survive but also to actually thrive in the Digital Era..."
We can’t deny the problems and negative changes brought about by the digital revolution. The number of people in America who suffer depression has dramatically increased. There are four times as many obese teenagers as before. Children are glued to digital devices for an average of 6 plus hours per day, radically changing the way they are growing up. Health problems such as insomnia, eyestrain, hand and neck pain are becoming quite common. We’ve become addicted to our devices. Most of us have a difficult, if not impossible time leaving home without at least one device—our phones. First, they stay grounded in the face of distraction. Second, they use technology to know themselves on a deeper level. Third, they know when and how to use technology to train their brains to reach their full potential. Fourth, they structure their surroundings to create a habitat for happiness. Fifth, they innovate consciously to enrich the world around them. "What’s the greatest enemy of being productive and staying grounded? Distraction. … In 2013, the National Center for Biotechnology Information reported that the average attention span of a human had dropped to a mere eight seconds (from twelve seconds in 2000); meanwhile, the average attention span of a goldfish is nine seconds." Our productivity is greatly affected by our lack of focus. We deal with an ever-increasing amount of distraction, every day. And our digital devices are a big part of the problem. We check our phones all day long, even when we have no calls or alerts. Many of us sleep with our phones next to the bed and even more of us check email when we should be sleeping. We can create better conditions for productivity in our lives if we establish some rules for ourselves regarding our use of digital devices. Limiting how often we’ll be interrupted by email, social media alerts and news will create less distraction. Planning times when we won’t use tech devices will give our brains downtime to process everything they take in. We can be healthier and more productive by using our goals and values to establish our intentions for each day. Using our priorities to drive our days and weeks will keep us more centered and growing in the direction we desire. This will help to reduce the stress created by just responding to the incessant prompts of our digital devices. "Self-knowledge is power. … Technology can help you understand your full potential by helping you to track key information about your habits and then use that information to fuel your growth." Every day we make hundreds of small decisions. Many of our decisions are made while operating on auto-pilot, out of habit. These choices are often influenced by our learned beliefs, incomplete knowledge, and incorrect assumptions. By logging and tracking information from the various realms of our lives, we have more accurate information with which to make our decisions. Today we’re using devices and apps to log the number of steps we take, what we’re eating, habits we’re building, how much sleep we’re getting, and we can even track our breathing patterns. In our homes, we’re tracking air quality and how much energy we’re using. We are doing more logging and tracking in many areas and this information can be a powerful tool. It can help us make better-informed decisions, create healthier habits, help us become a better version of ourselves—and a happier one. The Future of Happiness has a very important message for each one of us. Technology is here to stay and the growth of digital devices and apps will be exponential in the years to come. We can either let technology drive us in a mindless and addicted fashion or we can use it in a purposeful manner to become healthier and happier.